Fifty years of marriage deserves recognition. Fifty years of marriage deserves some fuss. Whether you recognize your parents with a huge, black-tie affair, a small family gathering or simply a unique gift, it is important to do something to recognize this milestone. 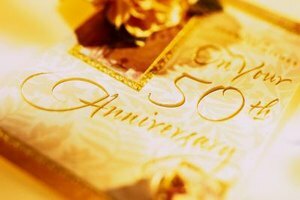 The 50th anniversary is the golden anniversary - get ready to add some sparkle to the special day. Plan a celebratory event. Choose the type of celebration based on your parents' style and preference. Do they like big, over-the-top parties, or do they prefer intimate dinners with just their closest friends? Plan the event accordingly. Rent a hotel ballroom, community center or park or make reservations at their favorite restaurant. Throwing a party in your home or yard is also a great option, depending on the size of the event. Get creative with decorations - the options are almost limitless. Stick to the traditional golden anniversary theme with gold balloons and flowers or personalize your decorations based on your parents' lifestyle. Do they love to travel? Create a party with an international theme. Are they sports fans? Decorate with their favorite team's colors. 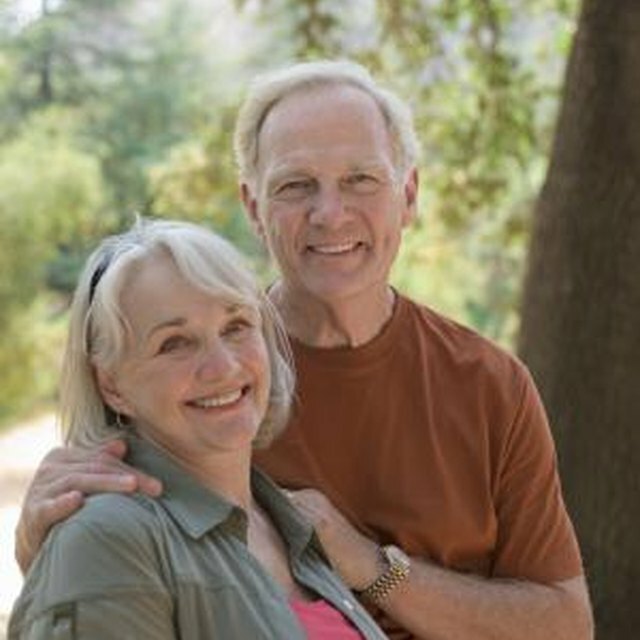 After 50 years of marriage, your parents have plenty of photographs and memories that you can use to personalize the party. Look at a photo from their first year of marriage and photograph your parents in the same pose today - 50 years later. Arrange the photos side by side and use them for the party invitation or as a display. Enlarge their wedding portrait and create a life-size display for the party. Arrange framed photos of their life together on a table or display the photos on the wall in the shape of the number 50. Consider putting together a slideshow to play at the party and set the slideshow to your parents' favorite songs. Whether you throw a party or not, recognize the day with a thoughtful gift. Make a commemorative photo book or quilt using family pictures. If your parents love to travel, encourage the family to pitch in and pay for a second honeymoon. Make a memory book and ask family and friends to each decorate a page with their favorite pictures and stories - and make the book fifty pages long. Spend a little or a lot, as long as the gift is meaningful. Your parents will be sure to appreciate your thoughtful efforts for years to come.